I found this mini bottle of sparkling cider at our local dollar store (Dollar Tree to be exact) and knew I had to use it for something. Anything. I decided to use them for teacher gifts. And if I'm honest, the saying "Thanks for helping me sparkle this year" is a little cheesy, but my daughter thinks it's cute, so we are going with it. For a whopping one dollar and a hand written note tied with yarn, this year's teacher appreciation gifts are done! It's a delicious consumable that leaves behind an empty mini bottle that can be used for a flower vase. 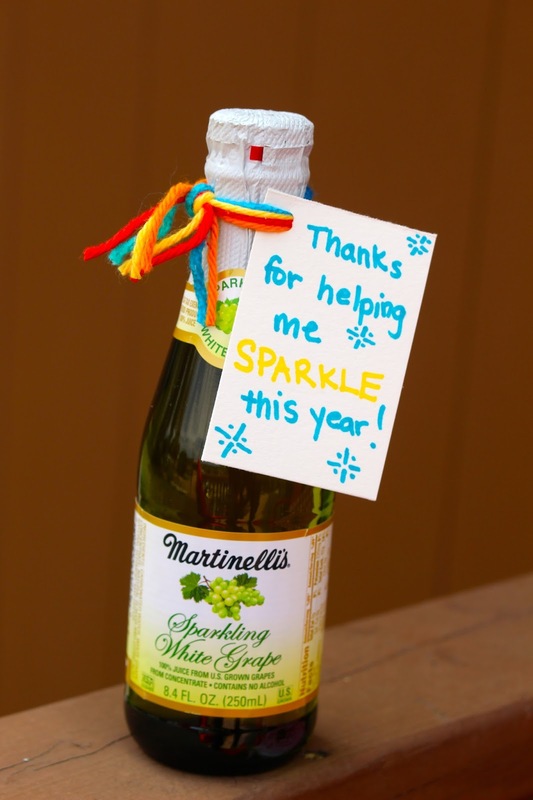 Need another idea for teacher gifts? Although they may work better for the beginning part of the year. 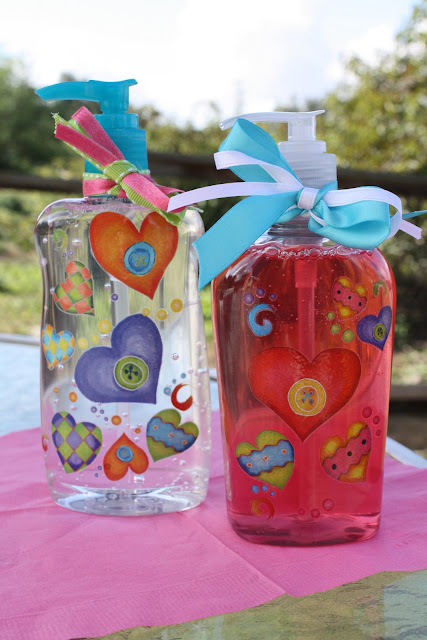 ;-) we've made these decorated soap and hand sanitizer bottles in years past.